This entertaining action comedy centers on Michael Bryce (Ryan Reynolds), assigned to protect an infamous hitman Darius Kincaid (Samuel L. Jackson) – the only person who can testify against a ruthless dictator (Garry Oldman). Along the course of the movie they are presented with a number of obstacles and twists, which are sure to keep audiences on the edge of their seats. 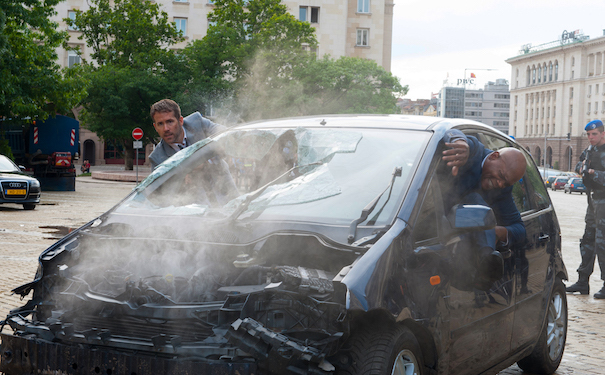 Ryan Reynolds and Samuel L. Jackson filming THE HITMAN’S BODYGUARD in Sofia, Bulgaria. Photo by Jack English. 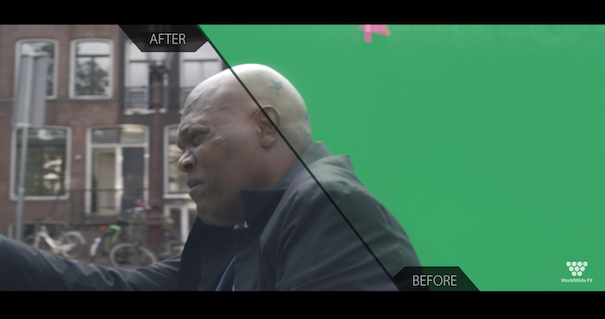 The film has been shot throughout three European capitals – Sofia, London and Amsterdam, with the majority of the principal photography taking place in Bulgaria. Nu Boyana Film Studios has facilitated a large part of the production, providing sound stages and computer generated effects, with some sequences taking place in the canals of downtown Sofia. “We are very excited about this movie. This is one of those situations when we got lucky with a variety of things – great script, great cast, great director and we ended up with a great movie.” – says executive producer Yariv Lerner. 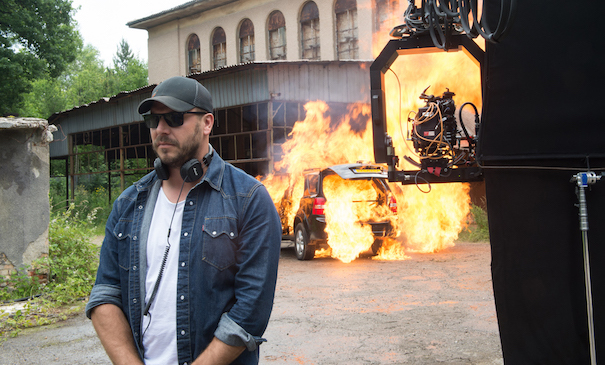 Director Patrick Hughes on the set of THE HITMAN’S BODYGUARD in Bulgaria. Photo by Jack English. 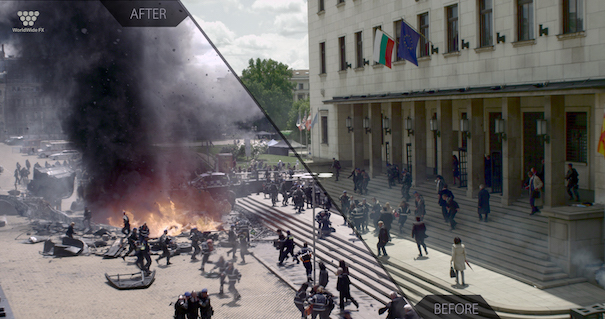 Several of the action sequences were shot at the Nu Boyana Film Studios backlot in Bulgaria. The Hitman’s Bodyguard premiered in the American box office on August 18, and has had a strong presence there, quick to take the first place and remain there. Since then it has grossed 39.6 million dollars in the U.S. and Canada and critics have praised highly the screen chemistry of Ryan Reynolds and Samuel L. Jackson. Both actors are content with the film’s premises and are eager to point out its strong points. In an interview for Cinemablend, Reynolds remarks that even though it explores familiar tropes in the action movie genre, The Hitman’s Bodyguard is a very laid back feature, which has a lot of fun with deconstructing some of the already set tropes for the genre. Jackson also comments, that the involvement of romance in the film is much higher than in similar titles, which proves to be a fun and engaging for the audience decision. 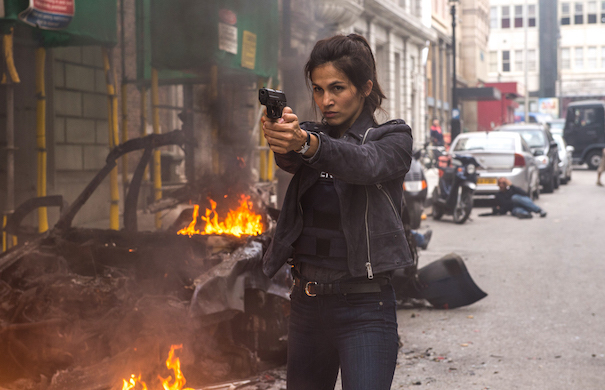 Salma Hayek and Elodie Yung are also part of the cast – Hayek as Kincaid’s wife Sonia and Yung as the Interpol agent and Bryce’s ex-girlfriend Amelia Ryder. 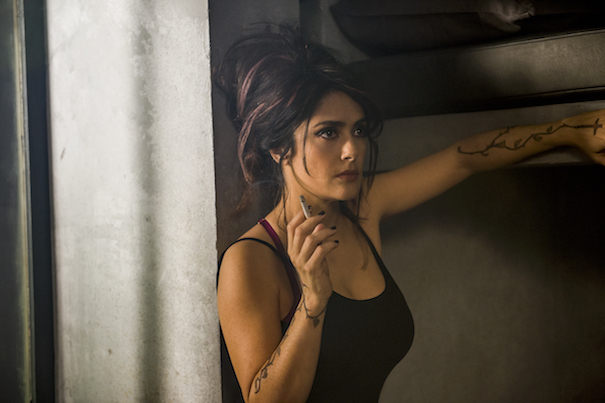 Salma Hayek as “Sonia Kincaid” in THE HITMAN’S BODYGUARD. Photo by Jack English. Elodie Yung as “Amelia Roussel” in THE HITMAN’S BODYGUARD. Photo by Jack English.